You must be a member of the Berlin Changemakers Group to attend this activity. Would you like to join this group? Many of us have heard about the Berliner Tafel, and some have even donated their time to sort food. 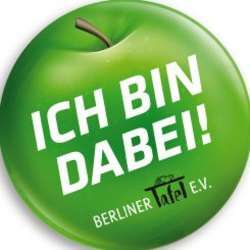 For those wondering about it, the Berliner Tafel collects the excess food that supermarkets cannot sell to repackage it and distribute it afterwards to more than Protected content institutions. Approximately Protected content of food are distributed per month benefiting more than 125,000 people in need living in Berlin. In order to be able to do all this, they need the support of engaged volunteers -like you! This time the food rescue operation will take place at the International Green Week (Internationale Grüne Woche) at the Trade Center-North (Messegelände-Nord). We will meet a bit earlier (at Andy's Diner & Bar) before the activity takes place to get to know each other, have a coffee/eat, and explain the ‘procedure’ in detail. In short our mission will be: to collect the food donated by the exhibitors and bring it safe to the vehicle that will deliver it on the same evening to Berliners in need (homeless, women suffering from violence, refugees, etc.). We will enter to the convention center as soon as the fair closes to the public. Thank you for your support! Together we can make a difference!! PLEASE ONLY SIGN UP IF YOU ARE SURE YOU CAN MAKE IT. If you cannot attend, please sign off 24 hours in advance. Otherwise we’re counting on you.